The offers listed in this post have expired so their links have been removed. Click here for the top current credit card sign up bonuses. For me, first class flights would be out of reach without miles. I can’t spend $10,000 for a first class flight on an airline like Emirates. Luckily I don’t need to because I have plenty of miles, and I could fly economy class in a pinch. Fancy hotels are similar. I can’t pay $1,000 a night for a hotel like the Park Hyatt Sydney. And luckily I don’t ever need to stay in fancy hotels. When I travel, all I need is a roof and a pillow. But for those special occasions when I want to indulge in absolute luxury, I can by opening a single credit card. What are the three best credit cards for luxury hotel experiences? The Citi® Hilton HHonors™ Reserve Card earns two free weekend nights at almost any Hilton worldwide after spending $2,500 in the first four months. Weekend nights are Friday, Saturday, and Sunday nights. Hilton recently massively devalued its award chart, so that the top tier Category 10 hotels can cost up to 95,000 points per night. But that devaluation didn’t affect this card, which can be used for a luxury weekend anywhere in the world. Using Hilton’s complete listing of its hotels’ categories, I looked up two night stays at a few Category 10 properties, many of which were Conrads. I’ve listed the rack rate for two nights at a few of the properties. The Citi® Hilton HHonors™ Reserve Card confers Gold Status to its holder. The card earns 3 HHonors points per dollar on all purchases, and 10 points per dollar on Hilton stays. The card has a $95 annual fee, which is not waived. The Citi® Hilton HHonors™ Reserve Card grants access to some truly incredible, aspirational properties all over the world for an indulgent weekend. But there are two better cards for luxury hotels. The Hyatt Card comes with two free nights at Hyatts worldwide after spending $1,000 in the first three months of holding the card. I looked up a few properties to see what the rack rate for two nights would be. The Hyatt Card earns 3 Gold Passport points per dollar on Hyatt stays; 2 points per dollar on airlines, car rentals, and dining; and 1 point per dollar on everything else. The card has a $75 annual fee, which is not waived. I give the Hyatt card the nod over the Citi Hilton Reserve because the two nights can be used any day of the week instead of only on the weekend, but both cards are excellent. I would recommend the one that is affiliated with the specific hotel where you want two free nights. The Chase Ink Bold comes with 50,000 bonus Ultimate Rewards after spending $5,000 in the first three months of card membership. After meeting the spending requirement, you will have at least 55,000 Ultimate Rewards. Ultimate Rewards transfer to a multitude of airlines and hotels including Hyatt. Ultimate Rewards transfer 1:1 instantly to Gold Passport Points. What can 55,000 Ultimate Rewards get you? The Hyatt chart has some of the lowest point requirements of any hotel award chart. The top tier Category 6 hotels we would book with the Hyatt Card’s free night cost only 22,000 points per night. That means the 55,000 Ultimate Rewards could get the same two nights at the Park Hyatt Sydney as the Hyatt Card with 11,000 points left over. Or the 55,000 Ultimate Rewards transferred to 55,000 Hyatt points could get three free nights at Category 5 hotels. While not the very top of the Hyatt award chart, Category 5 hotels are no slouches. The Category 5 list includes some expensive cities like New York and several Park Hyatts and Andaz hotels. I’ve listed the rack rates for three nights at a few of the properties. The Ink Bold earns 5X points on the first $50,000 spent annually at office supply stores, and on cellular phone, landline, internet, and cable TV service; 2x points on the first $50,000 spent annually at gas stations and hotels booked directly through the hotel; and 1 Ultimate Reward per dollar on everything else. The Ink Bold has no annual fee the first year, then $95 thereafter. The Ink Bold and Ink Plus are business cards. Read this post to see if you are one of the many people who qualify for business cards without knowing it. The Ink Bold is the best credit card for luxurious hotel stays because its sign up bonus is worth three nights at Park Hyatts around the world, and the card carries no annual fee the first year. The top three cards for free hotel nights are the Citi® Hilton HHonors™ Reserve Card, Chase Hyatt Card, and Chase Ink Bold/Ink Plus. All three can get at least two nights at some of the most luxurious (and expensive) hotels in the world that would ordinarily be out of our reach. Next articleMileValue Reader Meetup at FTU DC! Thank god you didn’t include the massively overhyped/valued SPG card. I think it’s slightly overhyped. It’s not top 3 for luxury nights, but it is a really great sign up bonus. If you can get 3 cents per point on Cash & Points rewards, it’s worth $750. Tangent time: Tend to agree with Paul. Don’t get me wrong, I would enjoy a St Regis as much as the next guy, but SPG hotels are just OK, not great deals IMO. Especially given all the play they get on travel blogs/sites. The signup bonuses both require a large $5000 spend personal and business, there is no annual renewal perk(that I am aware), and their annual spend bonus is relatively large. Hyatt seems a far superior deal, albeit with fewer properties. 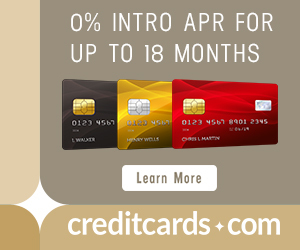 I have a question regarding the credit card offers below your posts (which I enjoy seeing btw) but I notice you place the average approved score and lowest approved score,and I am well in between a few of them but I just started to re-establish my credit in August 2012 so in most of my applications I do not qualify do to Not Enough Credit History. Would have contacted you via the credit card consultation but I just applied for one yesterday (was approved) but with a high annual fee for the first year then drops back to normal the 2nd year. I’m just placing a banner that includes the information you are describing. I am not placing that information myself, but I did make a list of all the banner’s average and lowest scores because I find the information fascinating and might want to do something with it. It was an award ticket. Cool, what miles did you use? Touche 🙂 How did you get those? A friend gave them to me. What about the fairmont visa? About even with the Hyatt and Hilton Reserve, but I give the edge to them because of having more top tier properties. The reason I like the Fairmont card better is that a lot of the HH and Hyatt properties at which this would be a great value (particularly HH) are not the kind of places I only want to stay for two nights. But he has very nice legs!! The last person I’d be worried about offending with my wardrobe is an airline employee. The next is another passenger. Pretty much, if someone does not care for it; it’s on them, not me. I had the Chase Hyatt card and earned the 2 free nights by meeting the $1,000 minimum spend. However I think your readers should know that by having this card, they will not automatically be entitled to any night in any Hyatt hotel where there is space. After checking online that 2 nights were available at the London Hyatt Churchill, I tried to book using my 2 free nights by calling in and was told that I could not book one of the nights due to Hyatt’s right to black out certain high occupancy dates. In my case, one of the nights that I was trying to book was a Sat. night in late Nov. and clearly Hyatt would rather try to sell that room for revenue rather than receive whatever compensation they get from the exercise of free nights. Thanks for sharing. I haven’t heard of this. It is very common for hotel award programs to restrict award stay certificates to nights when there is award space available. The Chase Priority Club is another example. It is best to do it through the internet and put it on free night/points setting when signed into your account. That way you can check if they have the awards availability for the night in question. The ChoicePrivileges card has a low annual fee, and offers a free night’s stay upon anniversary. That can be used for $500+ Intercontinentals — each year. These cards are all offering nice signup bonuses, but they cannot be repeated year after year. For my book, the card is a keeper. @DrewBird: are you referring to the Priority Club credit card? I can’t seem to find a ChoicePrivileges card with an annual fee or access to Intercontinental Hotels. @PersonalFinanceWorld – Yes you are correct. I meant to say Priority Club, not Choice Privileges. Thx for the correction. In your experience, can you apply for the Ink Bold & Plus on the same day? I haven’t tried. I would get them on different cycles at least 91 days apart. Sounds good, thanks. I really enjoy the blog! While I agree that the SPG card 1) is not great for bonus categories; 2) doesn’t give much status (2 stays towards status ain’t much); and 3) doesn’t give you an annual incentive to keep the card, it’s possible to get great value on the points, and you have the benefit of extreme flexibility re: transfer partners. My sister and her fiance will be going to Spain in September, and will be staying at the hotel Maria Cristina during the San Sebastian film festival for 2 nights at 12,000 points/night. The deluxe room currently goes for 680 euros/night at a refundable rate *2 nights *1.33euros/dollar=$1808.8, or 15 cents/point. Granted, they booked it many months ahead of time, and they somehow obtained low season rates during the zenith of the hotel’s high season, but it’s still great value. Even at 16,000 points/night, it’s 11 cents/point. Not the most flattering picture. Either smile or don’t smile. Weird smirks with that beard are creepy. At least jorge thinks I have nice legs. This photo is the essence of Scott. I got a free night at a Category 4 just for signing up, then 50k pts, which with enough spend and stays (I stay at Marriotts a lot) is getting me two nights at the Cosmopolitan in Vegas. I also randomly got another free night. So for just the minimum spend (and a tiny bit more) I got four free nights out of this card. Not lux, but my next Vegas trip is cheap as heck when I’ve got two free nights, and plan to use companion passes for two other people on US Air. I guess the restriction on the hotel category for which you can redeem your certificate makes the bonus look less appealing. The annual reward certificate is also category restricted. It sounds like it’s perfect for your travel needs, but I think most people would be better off with the three here. Ray, I just got back from the Vegas and stayed at the Cosmopolitan…awesome…I was a Marriott Gold member…but called and asked for a Platinum Challenge two weeks before I left…They immediately made me a platinum member for four months (summer) To stay platinum, I have to make 8 Marriott stays in that time. Don’t know if I can do that….BUT….as a (new) platinum member, I got special fast check-in line at the cosmo…to the right of the regular one, great room upgrade with a patio overlooking the Bellagio fountain, and two free buffets…..the buffets was excellent and open till 2:00 pm in case you sleep late. Did that for two nights….then switched hotels….road the monorail from the Flamingo over to the Convention Center to stay at the Resistance, another Marriott propert, y to take advantage of the current Marriott offer of staying twice and earnihng a free catagory 4 hotel certificate, (register on the Marriott reward web page)….of course as a Platinum member I got access to the club lounge, breakfast dinner dessert drinks….. The Hyatt Visa also gives you automatic Hyatt Platinum status for as long as you have the card. Of course you can still then qualify for the next level up which is Diamond if you meet the stay requirements. And you get another free night each card anniversary. I See in the picture that you have the same sunglasses as my son. Purchased from the Dollar Store, right? These responses/posts are rude and spiteful. Rather than engage in ad hominem attacks, lets have substantive conversations. Scott puts forward a thoughtful blog; if you don’t appreciate it, the mature path is to read other bloggers. But don’t write this kindergarten “gotchas”. It’s juvenile. Thanks for the info. I appreciate the hotel comparisons. I like the photo! I think you look like a laid back traveler I’d enjoy sitting next to. There’s quite a difference in paying 38K Club Carlson’s points vs. 8K Hyatt’s points for one night in Sao Paolo or wherever. One thank you, and one ding or problem. 1) Hyatt – huge thank you – we followed your advice and the first (free) night is the Park Hyatt on Sydney Harbor on our way to New Zealand, and the second freebie, one of two nights in Melbourne on the way back !!! 2. Problem though – on the Hilton card offer you quote, in detail, CATEGORY “10” – we got the card, made the spend, and are awaiting the certificates – but now VERY CAREFULLY checking the current conditions directly linked from this web-site – it says this is only for CATEGORY “1-7”. What is the real gen, and did they change the rules, or did you miss this ???? Two week-end nights in ASuckland depend on this !!! Great article! I’ve always been wondering what the best ccd for travel rewards (hotels ) would be. I am a bit confused tho Scott…I am planning a trip to Paris next month. I was going to apply for the Chase Hyatt card that gives me 2 free nights (planning on using them at the Paris Vendome). After reading your article, I am wondering if I should apply for the Ink bold instead? In order to use the Ink bold points within the Hyatt hotel categories, do I need both the Chase Hyatt card as well as the Ink bold in order to transfer the points over? Or am I able to just book thru the Ink bold site directly? I believe with the Chase Hyatt card, the nights are effective immediately at the time of approval. With the Ink Bold, would I need to spend 5k first and wait 3 months – even if I spend the 5k in the first month? 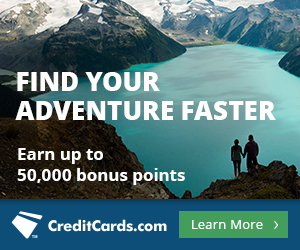 If not and lets say I spend 5k within the first month – would I be able to receive the 50k credit and use those points in time for my trip? Today is August 7th. Trip is planned for September 10th. Great article and extremely timely in my case! PJ, Scott will no doubt clarify, but you are probably way too late for this trip. The Hyatt nights will show up after the first statement showing the necessary spend, and can then be booked by calling their site. The Ink points will also show after the first statement showing the necessary total spend, so not necessarily three months, but a lot longer than one month from today. And no, you do not need both credit cards, but you need a Hyatt Gold Passport account so you can transfer in the points from INK, and then make the booking. Best of luck – we are planning the same use, but NEXT September. You can transfer Ink Bold’s Ultimate Rewards to Hyatt just by opening up a Hyatt account. In both cases, you’ll get your rewards after the statement closes where you meet the min spending requirement, so you won’t get either until 1-2 months from now at the earliest. But get them for the next trip! Thanks for getting back to me guys! I’ve just been approved for the Ink Bold. Going to go out and spend 5k as soon as I get the card and hope that it’s in time to transfer over the points for our trip to Paris Sept 28-30.
i have a question about upgrades for 2 free nights to the suite. In time of booking my 2 free nights I asked about being able to upgrade late and the agent said I cannot upgrade award free rooms. Is it right? I read in “Million mile secrets” it should be easy to do with additional 6000 points per night ( with new rules ) or 3000 points for a club upgrade. Please clarify that. Thank you! Those rates are for upgrades on paid stays. Thanks for the info. I have gotten the Chase Hyatt card and used the 2 free nights at the Maryland Chesapeake property which was really nice. Out of curiosity, can you get the card, perform the spending amount needed for the free nights, cancel the card, and then reapply and get more free nights? I am thinking of trying this for the Hyatt and Hilton cards.